What it is: Prepare for liftoff. This iconic hairspray is a staple among editorial and red carpet hair stylists, who love its ultrafine mist and lightweight hold. Its shiny, non-sticky finish is both invisible on strands and brushable — a quality that’s especially important on set, where hair needs to be styled and restyled without looking crunchy on camera. 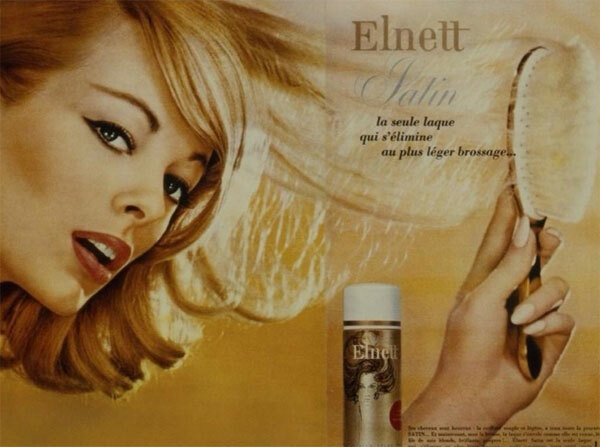 Created in 1960 by L’Oréal Laboratories, Elnett — which takes its name from the French for “she” (elle) and “neat” (nette) — was a major departure from the shellac-like hairsprays of the time. 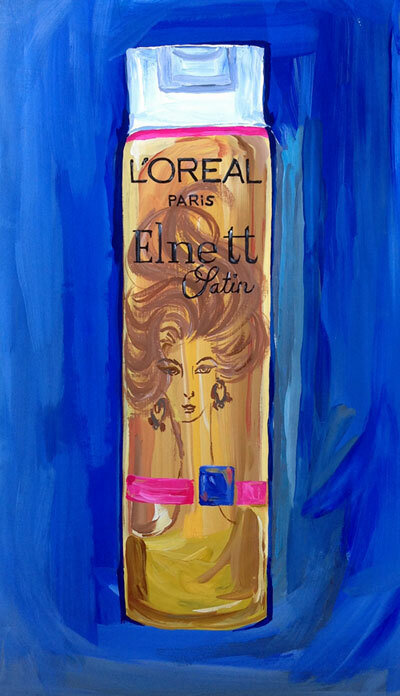 When it debuted to consumers in two years later, its breakthrough formula and slimline “golden goddess” packaging made Elnett such a hit, it remained essentially unchanged for the next four decades. How’s that for aging gracefully? But every success story has its setbacks. Starting in 1987, the original Elnett formula wasn’t sold the U.S. for 20 years because its delivery system utilized ozone-damaging chlorofluorocarbons. Hair stylists were forced to stock up on cans in bulk while in Europe, and smuggle suitcases full of the precious product into the country. The whole affair only gave Elnett even more of a cult-like appeal. Finally, a 2008 redesign made the product more eco-friendly and brought about its triumphant return to beauty aisle shelves stateside. A vintage Elnett ad from the '60s. Celebrities like Megan Fox and Rachel Zoe have publicly voiced their love for the hairspray, and a quick survey of our red carpet hair coverage shows that Hollywood stylists have used Elnett to coif everyone from Kerry Washington to Kate Bosworth. We’ve spotted hair teams using cans as contraband (complete with taped over labels) backstage at fashion shows sponsored by competing haircare lines. Bet you didn’t know: The iconic product had a big screen cameo in 2013’s American Hustle: Christian Bale’s character uses Elnett to construct his elaborate combover in the movie’s opening scene.